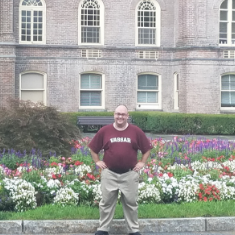 Benjamin Shaffer provided Vassar College with cost-effective alternative heating options that will help them achieve their carbon neutrality goals. Vassar College, well known for its pioneering achievements in education as well as the beauty of its campus, has set a goal of achieving carbon neutrality by 2030. One of the biggest obstacles to this goal is the impact of heating approximately 100 buildings during New York’s cold winters. Because of this, the college asked EDF Climate Corps fellow Benjamin Shaffer to help identify heating efficiency opportunities and investigate alternative heating options. Shaffer’s first focus was on buildings heated by the campus’ central heating plant, which accounts for 47% of the greenhouse gas (GHG) impact of the campus. He identified a smart radiator cover that would increase resident comfort and dramatically improve heating efficiency in dormitories. In addition, the system will provide Vassar with detailed building data to aid in improving heating system maintenance. He also recommended a biofuel product, soon to be manufactured in New York state, as an alternative fuel source for the central heating plant. Both of these solutions will reduce GHG impact and heating costs for those buildings. Shaffer also recommended that air source heat pumps would be a feasible alternative to burning fossil fuels for heating and cooling some campus buildings. Lastly, he suggested a hybrid photovoltaic and solar thermal system as a renewable energy solution for the Athletic Center that Vassar plans to build in the next several years. If fully implemented Shaffer’s recommendations could save Vassar College 7700 metric tons of carbon dioxide annually. This decrease in greenhouse gas emissions would be a 70% decrease in the Scope 1 emissions from the campus. Additionally, the radiator covers, biofuel, and hybrid solar projects would save Vassar a combined $325,000 in annual energy spending. These projects, as well as the consideration of renewable energy sources in the planning stages of new buildings would bring Vassar substantially closer to meeting its goal of carbon neutrality by 2030. Benjamin Shaffer is an MBA student at Illinois Institute of Technology, focusing in Sustainable Enterprises. While studying at IIT, he also works in the Campus Office of Energy and Sustainability, helping to improve the school's environmental practices. Outside of class, Benjamin loves to cook vegetarian meals for his friends.